At RV World MI in vibrant, beautiful Grand Rapids, Michigan, we offer all the top brand RVs at wholesale prices every day! And that includes the 2018 Riverside Mt. McKinley 830FK! So if you've got your eye on this great Travel Trailer, come see us today at 7834 S Division Grand Rapids Michigan 49548 and our friendly, knowledgeable staff will show you how to save $1000s and get great financing too! Even if you don't live in the Grand Rapids area, our fast, reliable nationwide delivery means you can call us at 616-591-3632 and have your dream RV at your door in no time! With a 900 lbs. and a GVWR of 7900 lbs, this RV is ready to tow and go! The 16' 0" patio awning provides shade and comfort when you're relaxing outdoors! The living area is comfortable and spacious thanks to its 31' 6" length, 8' 0" width, and the 1 slides that maximize the interior space! You won't be bumping your head inside this 10' 5" tall RV! And whether the temperature outside is sizzling or freezing, your family will be perfectly comfortable thanks to the modern 20000 BTU a/c unit and the efficient 30000 BTU furnace! Want a breathtaking master bedroom? You've got one in the 2018 Riverside Mt. McKinley 830FK! It's beautifully furnished and has a regal Queen bed that will give you and yours a great night's sleep at the end of every day's adventure! 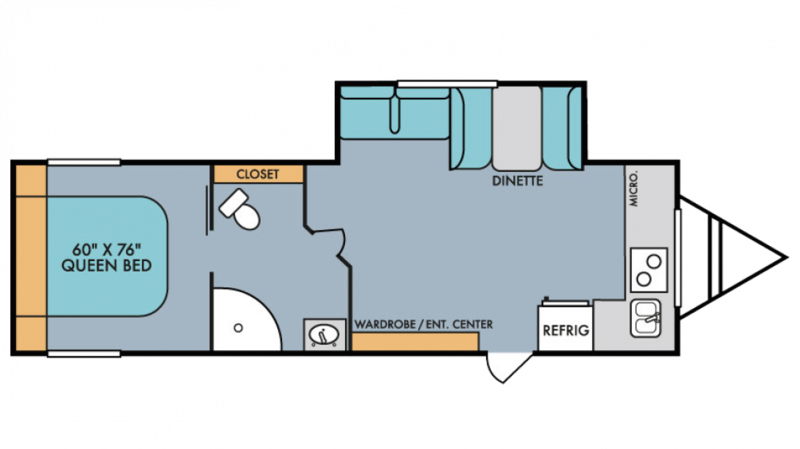 6 people can sleep comfortably inside this RV!